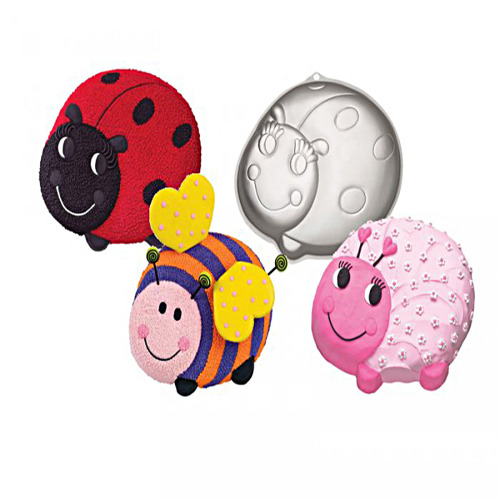 These critters are so cute, you'll want them dropping in at all your celebrations. These critters are so cute, you'll want them dropping in at all your celebrations. It's a pan that adapts to any environment-try it as a birthday bee, a Valentine love bug or even a friendly fly for that special gardener in your life. Aluminum.